A spectacular, 10-acre location on the beach makes Club Velas Vallarta a gorgeous way to vacation. Guests also enjoy views of the Sierra Madre Mountains while they play the neighboring golf course. 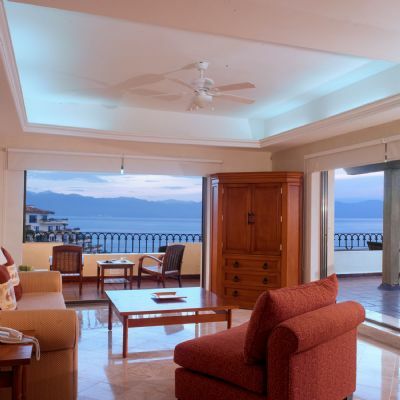 With these Puerto Vallarta timeshares for sale, owners can enjoy the vacation of a lifetime every year. It is hard to imagine anyone not being able to enjoy this property in the exclusive Vallarta-Nayarit area. Whether you're getting away with the family or it's just the two of you, you'll find an endless list of attractions awaiting you. From golfing and beachcombing to enjoying the lengthy Malecon boardwalk in Puerto Vallarta, you can be as active or relaxed as you desire. You could spend the morning shopping in the markets and boutiques in the city, and then spend the afternoon lying on the sand beside Banderas Bay. It's all possible with Club Velas Vallarta. Owners can get an all-inclusive experience when they choose these Puerto Vallarta timeshares for sale. They'll find golf and a state-of-the-art marina within easy distance. On the property, guests enjoy the assistance of a personal concierge who can help them plan exciting excursions and find the best places to dine. 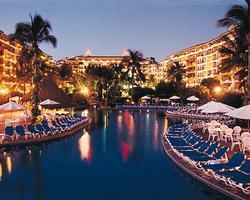 Club Velas Vallarta features a well-equipped fitness center and two swimming pools with a lazy river. There's also a pool just for the kids along with a club that they'll never want to leave. The three lighted tennis courts and basketball court delight active guests while the hosted daily activities are a hit for visitors looking for a little enrichment and interaction. The sumptuous accommodations range from deluxe rooms to a Presidential Suite that features a private pool and four bedrooms. 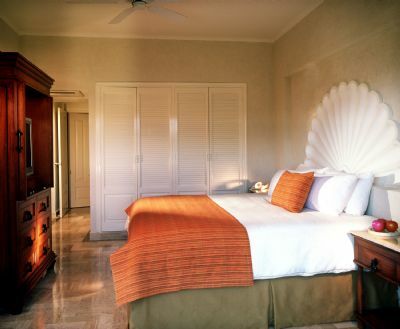 All timeshares have contemporary Mexican décor, and many units feature breathtaking ocean views. Full kitchens are convenient and efficient, including everything families need to prepare snacks or meals. Guests enjoy private terraces with sitting areas where they can relax and enjoy the ocean breeze. 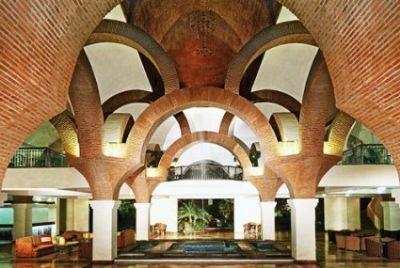 A stay at Club Velas Vallarta represents a fantastic opportunity to enjoy one of Mexico's most beautiful regions in style. With timeshares for sale on the resale market, owners find themselves surrounded by taste and comfort at an affordable price. Contact Club Velas Vallarta Specialist Today! Days: Friday, Saturday, Sunday, Monday, Tuesday, Wednesday, Thursday / Time: 4:00 P.M.
We had the most relaxing vacation at Club Velas Vallarta. The amenities are over the top with beachfront dining, poolside bars, spa and fitness club. The staff was amazing in the attention to detail for all our possible needs. The location is so convenient for going to the airport and downtown and we loved the gardens on the resort property.